In the course of nine months in 2016-2017, God’s people at The First U.P. Church of Crafton Heights had an adventure in listening to the stories of David and trying to draw wisdom or encouragement from them in our own lives. On July 23, we heard the last of these messages, which considered the death of the King and led us to exploring some thoughts as to how we encounter death in our own worlds. Texts for the day included I Kings 1 and II Timothy 4. He’s right, of course. What you see, and hear, and experience – all of it comes through a filter, does it not? Where we sit and what we’ve experienced affects the ways that we hear the stories of scripture and our lives. I was reminded of that this week as I consider the many lenses through which I’ve encountered the story of Abishag the Shunammite, the bulk of which you’ve just heard. When I was a young man, I heard this part of the story and I thought, “Wait, what? David got old and they looked for who? And told her to do what? Seriously? That happened?” It seemed to me, at that point in my life, that this was a prime example of the old Mel Brooks line, “It’s good to be the king!” When I read these verses, I did so with a good bit of snickering and a little bit of the old “wink-wink nudge-nudge know what I mean?” I was a leerer and an ogler. Last summer, when I came up with the plan to preach through the stories of King David, I was pretty sure that I wanted to end the sermons with the one you heard last week. David names Solomon as his successor and the one who would build the temple to YHWH and then rides off into the sunset in a blaze of glorious faithfulness amidst the accolades of his people. Yay! Oh, I remembered the story of Abishag and David’s final days, all right, I just had no intention of touching this particular part of the bible with a ten-cubit pole – not in public worship, thank you very much. I’m not going to go there. And yet in recent weeks, it kept coming to mind. If we are preaching about the life of David, I thought, why not preach about his death, too? Why not finish the story? 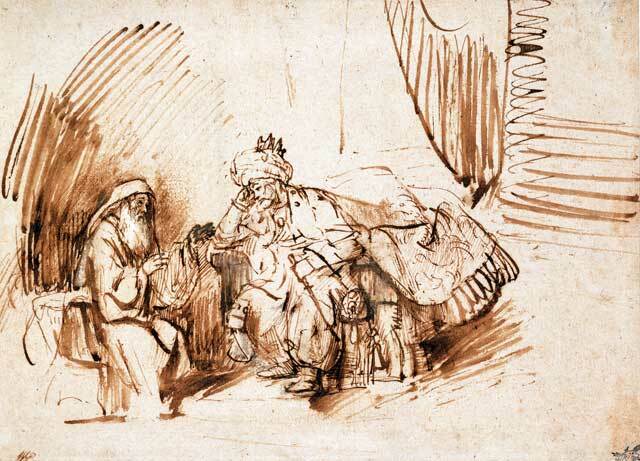 As the reading for today begins, David is an old man, by biblical standards. He is failing in all kinds of ways, and soon, he’ll be dead. Evidently, for loads of people, David is a bothersome problem. And what do we do with problems? We manage them, right? We handle them. A few of you are old enough to remember the old Batman television show. Do you remember when the Caped Crusader and the Boy Wonder were really up against something, they’d reach down to their waists and pluck something from the old “Utility Belt” – it might be a batarang, or a grappling hook, or even a piece of kryptonite… but somehow Batman could always be counted on to find just the right tool to manipulate the situation so that the problem would be solved. As David lay dying he is increasingly problematic. The various people who surrounded him would define the problem differently. Not only are neither of these approaches successful, what we really are forced to witness here is a dehumanization of both Abishag and David. They’re not really people any more – they are simply tools utilized in the hopes that a problem can be solved. For his son Adonijah, David’s death is a different problem. Adonijah wants to be king so badly that he can taste it, and he’s not going to let a little thing such as knowing that his dad had already declared Solomon as, the next ruler affect his chances. Adonijah was nothing if not determined, and so he just pretended that his father was already dead. He threw a party and declared himself to be king. Meanwhile, back in the palace, the Prophet Nathan and David’s wife Bathsheba are hatching a plan to ensure that Solomon, not Adonijah, will be the next ruler. These folks have bet everything on Solomon, and now it looks as if their plan is in danger of failing. So what do they do? They cook up a plot wherein they “bump into each other” in David’s presence, and casually remind him that he better keep his promises (and fulfill his obligations) before he dies. I want to stop here for a moment and consider where these people are at this point in the story. But wait – no! He’s not alone. Abishag is there. Why? Didn’t she fail? She had one job, and it didn’t get done! Why is she still hanging around? In I Kings 1:15 we read that when Bathsheba and Nathan got around to meeting up in the King’s bedroom, Abishag is there “attending” to David. Who is Abishag that she should be the one doing this? Where are his children? Where is his wife? What about his friends? The reality is, so far as we can see, that at this point each of these people is focused on themselves and trying to secure some benefit to themselves out of David’s living or dying. And because of that, at the hour of his death, the only person who is present to the greatest king that Israel ever knew is a teenaged girl who is probably scared out of her mind. She’s not fixing any problems. She’s not solving any crises. She is just watching and waiting with an old man as the hour of his death draws near. There is no indication that there is anything in either his living or dying for her. She is simply, generously, kindly there for David. 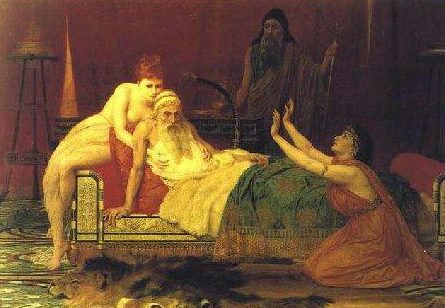 And if this was the way that King David died, it would be sad for that reason alone. The real tragedy, though, is that this happens again and again and again. So much of the time, death is so darned inconvenient. I needed you to do _____ for me, and you were dead. If she dies, how will I ever______? Who will make sure that ______ happens now? Too often we view ourselves and each other through a utilitarian lens. You exist only in relationship to what you can or cannot do to help me. For Adonijah, Bathsheba, Joab, Shimei, Nathan, and the rest of the gang, David had ceased to be of any value. He was no longer in a position, frankly, to do anything for them. With his usefulness gone, it would be easier for all of them if he just died already. David was at this point in his life a utility failure. He was, at best, an inconvenience. As we have done in recent weeks, let’s take a moment and compare the life of David with that of Paul. Our reading from Timothy finds him similarly nearing the end of his life. The things that defined him – vigorous travel, eloquent speeches to crowds in places like Athens, Jerusalem, or Antioch – they are all in the past. Now Paul is an old man, cold and lonely. Paul doesn’t want to die alone. I don’t think anyone wants to die alone. I don’t know about any of you, but I sure have learned a lot about David in the past nine months. More importantly, because of David, I believe that I have some deeper insight into my own life. And now, I find that as we conclude this series of sermons about David, I wonder what there is for me to learn about the ending of my own story, or the stories of the people that we love. I understand that for many, if not most, of the people in our lives, the relationship is somewhat utility-based. We hear of a death and we say, “Oh, he was my barber…that was my neighbor…She was the one who taught the dance classes to my children…” One of the implications is that we’ll have to find another barber, meet some new neighbors, and engage a replacement dance teacher. There’s nothing wrong with that. We are, in some ways, inextricably linked to the kinds of things that we do. When we die, there are some people that will miss the things that we do more than they will miss us. But some folks are more than that in our lives – much, much more. Some people are measured for who they are, not for what they do. This morning, I’d like to ask you to close your eyes – just for a few seconds, mind you. I’m not talking about a nap, I just want you to think about some of the people in your life whom you simply like or even love. People that you want to be with because being with them is good in and of itself, and not for any tangible benefit you might receive. Just close your eyes and think for a few moments. Here’s some good news: a lot of the people that you’re thinking about are not dead. Most of them are not, so far as we know, close to death. So take time to celebrate those people today, and in the days to come. Enjoy them, and let them know that you do! Sooner or later, however, one of those people – or you yourself – will be dying. This is the time to get ready for that. Twelve years ago today I stood in this spot and preached a funeral for a young victim of Amyotrophic Lateral Sclerosis (aka Lou Gehrig’s Disease). This young woman and I spent a lot of time together in the months prior to her death, and I shall always be grateful for the lessons that she taught be about living and dying. And on the day that my young friend died, I spent hours trying to remind her of that which I tried to tell many of you on the day that you were born: you are a child of God. You are fearfully and wonderfully made. You are not what you do, what you save, what you give, who you sleep with, or the places you go. Simply by virtue of being made in the image of God, you are worthy of love and friendship. When those we love develop an awareness of the fact that they may be dying, may we have the grace to do what Paul asked Timothy to do, and to give to others what Abishag gave to David: may we have the grace to simply be with this person who matters. And when we develop an awareness of our own impending mortality, may we be blessed with those who remember us – and who help us to remember ourselves. And finally, as the church of Jesus Christ, the body of Christ present on earth, may we take it as our sacred honor and ministry to bring this reminder to whose whom no one loves. 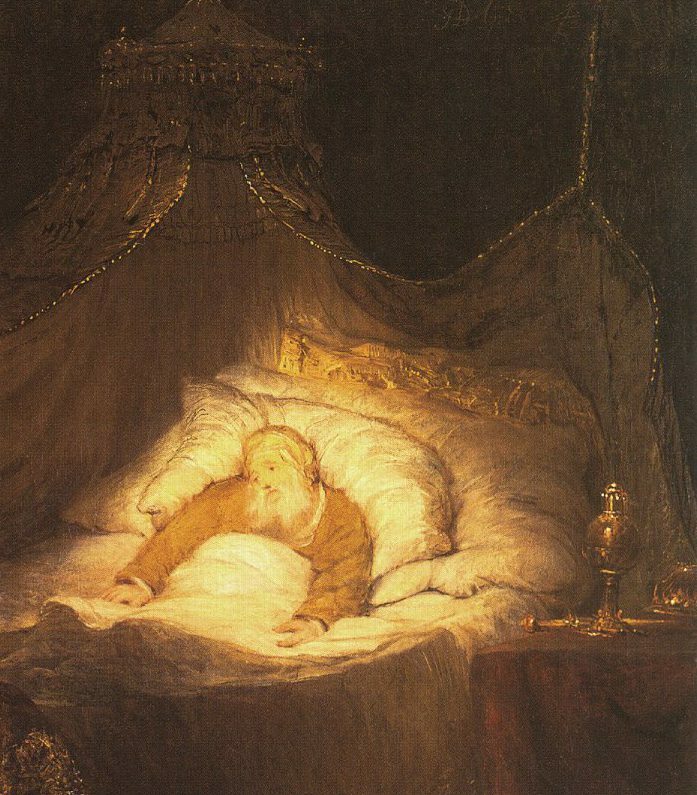 As we conclude our exploration of the life of David, may we see here in his death, with the help of Abishag the Shunammite, the truth that this beautiful and reckless man of God embraced day after day after day: that we, too, belong to God body and soul, in life and death, because of the work that he, and not we, have done. Thanks be to God! Amen. In July of 2017, the people of The First U.P. Church of Crafton Heights are concluding a year-long adventure in listening to the stories of David as we try to make sense out of them for our own journeys. On July 9, we considered what some have called David’s greatest failure: his census of Israel. Our texts included II Samuel 24 as well as Philippians 4:1-13. Thoughts on counting, pride, and forgiveness in this week’s message. 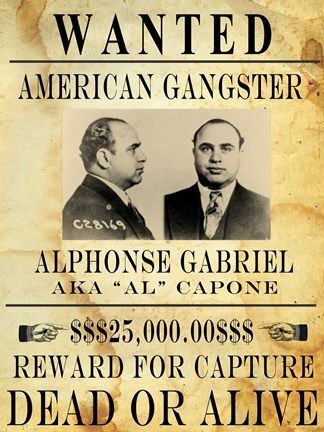 What do you know about Alphonse “Scarface” Capone? That he was a gangster and the leader of the Chicago mob that was responsible for the “St. Valentines’ Day Massacre” in 1929? A bootlegger, murderous thug, and career criminal? Do you know the crime of which he was found guilty and sentenced to prison? Tax evasion. 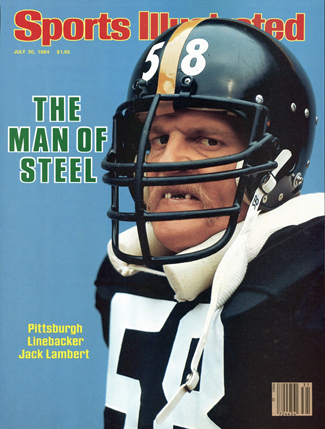 I bet that a lot of you remember Jack Lambert, who at 6’4”, 220 lbs. was one of the fiercest men to ever wear the uniform of an NFL team. He was renowned for his ferocious hits on opposing ball carriers, but he was driven from the game he loved by an injury: turf toe. I bring up these big men who were taken down by seemingly small opponents because we’ve come to a part of the David narrative with which many of us are unfamiliar. This is the twenty-second sermon I’ve preached about David in the last year, and if I were to ask you what was the one thing that threatened David’s reign and legacy the most, how would you answer? The adulterous, murderous episode that led to Bathsheba becoming his wife? His suspected collusion with the Philistines? The instructions he gave to Ahimelech, the high priest, that ended with the deaths of all the residents of the town of Nob? His failure as a father? Nope. The closest David came to blowing it, big time, was when he issued an executive order mandating a census throughout Israel. Seriously? A census? How does counting the population rise to a level of offense commensurate with the other tawdry episodes in David’s past? Well, this is no ordinary counting: it is a preliminary act for the institution of a military draft and a massive taxation. Old Testament scholar Walter Brueggemann puts it this way: “This census is much like that of Caesar Augustus. It is not a benign act of counting but an act of bureaucratic terrorism…The purpose is to mobilize military power. David has yielded to the seduction of state power.” David’s greatest sin is not about the math… it’s about the pride that threatened to undo him in a way that nothing else had. 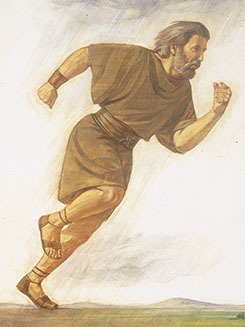 King David’s Census, Illustration from Treasures of the Bible, Henry Davenport Northrop (1894). He’s nearing the end of his life. He’s survived several attempted coups and assassinations; he’s weathered a lot of storms, and, frankly, he’s starting to roll the credits. II Samuel 22 contains an amazingly beautiful song of praise to God. II Samuel 23 allows the monarch to recount the list of “David’s Mighty Men” – several dozen soldiers whose amazing exploits and feats of strength and bravery were simply astounding. In short, David begins an exploration of nationalism and exceptionalism that nearly costs him – and his people – everything. We’re told in the beginning of the passage that “The anger of the Lord burned against Israel…” Why? Well, it doesn’t say, but I have an idea. Do you remember the first commandment? “You shall have no other gods before me.” Do you remember the first sin in the Garden of Eden? The humans refusing to accept the authority of God. 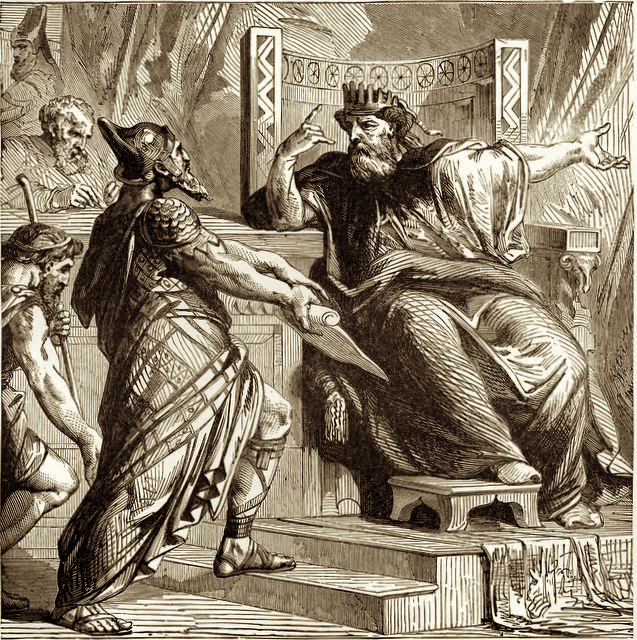 It is God who establishes, God who reigns, God who rules… and in our reading from II Samuel, as well as these prior incidents, the humans (David in this case) reject God’s primacy and put themselves on top. David flat-out ignores his advisor and the census begins. It takes ten long months to come up with an answer; when the numbers finally come in, David realizes what he’s done. He gets the answer for which he’s been looking, and then he grasps the implications of the questions he’s asked… and he cries out for forgiveness. The David in verse 2 is strong, purposeful, resolute, and full of pride. The one who speaks in verses 10 and 14 is as broken as he’s ever been. David realizes the depth of his willful arrogance and rebellion. He sees his pride for what it is and falls on God’s mercy. The extent of David’s repentance can be seen in the curious conversation that he has with the prophet when Gad brings him news of God’s judgment. The Lord offers David a choice: what kind of punishment does he want to receive? Three years of famine across the whole nation? Three months of intense attack from his enemies? Or three days of pestilence and plague on the nation? When David is at his best, he fears God. When David is at his most faithful, he trusts God. Here, in this dark, dark hour, he cries out asking for God, not humans, to deal with him. He knows that if there is any mercy, any relief, any hope to be found, it will come from the hand of the Lord. 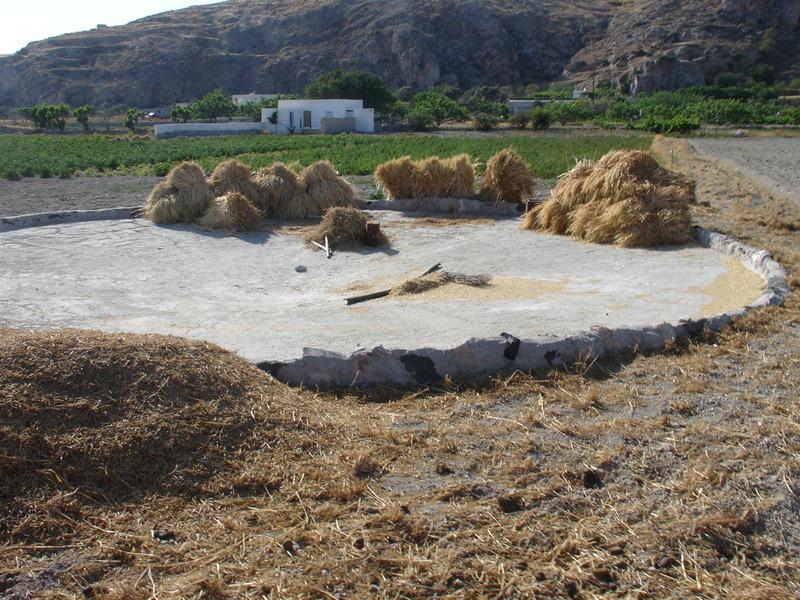 The prophet then commands David to go and worship by building a worship site on a threshing floor belonging to a man named Aruanah. There are a few observations I’d make about this worship. This comes, of course, from the David’s awareness that he, and all he has, belongs to God. David will not “thank” God with other people’s money. This is the last story in the books of Samuel. 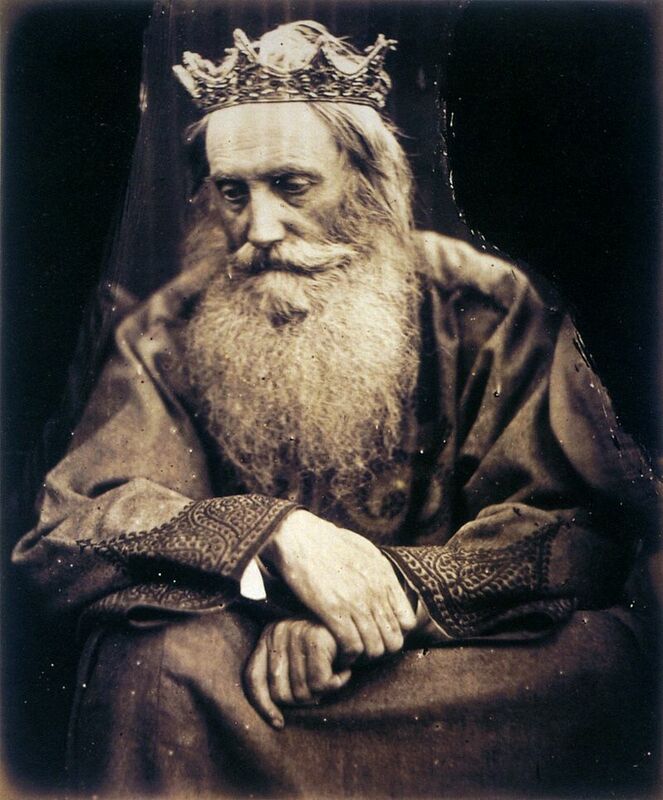 The narrative which contains the selection of a young child to be the king, the defeat of a mighty giant, military campaigns, palace intrigue, significant defeat, and astounding victory… ends with the old monarch on his knees in a strange place, crying out for forgiveness, restoration, and reconciliation. There’s more than enough smiting, fighting, sleeping around, and even the occasional happy episode thrown in. What’s the point? Why does the narrator of Israel’s history choose to end the book of Samuel with David’s prideful attempt to count his fighting men and implement a tax plan? Well, for starters, I’d think an important lesson we can take away from this passage is the fact that it’s foolish to spend too much time and energy reading or believing your own press clippings. One of the worst things that David did was to insulate himself to the point where he was unable to see how his bureaucratic power grab was an affront to the Lord. When you and I rely too heavily on our own feelings, or on the perception that we’d like to cultivate in others, we are similarly unable to perceive the truth. When you are “up” and doing well, remember that you are in danger of falling. And when you are broken, do not forget that you are made in the image of God. You might not feel like a child of the Most High, but that doesn’t change your reality. It may be that you’re at a place in your life where the greatest challenge in your walk will be to look at other people as you sing that song. You mentally picture the one who has wounded you so deeply or regarded you so callously, and you pray for the grace to be humble and Christlike toward her or him. But it’s just as likely that you need to remember those lyrics the next time you look in a mirror. You’ll remember the thing you said to your child or your parent; the lies you told to avoid embarrassment; the way you compromised your integrity in order to feel “liked.” In those cases, then, perhaps the “unlovable” and the “unreachable” is not someone else… you may think it’s you. And you are, of course, wrong. Ask the Lord to give you a good vision of yourself, and others, and God. Pray for a realistic view of what is, and what can be, and how you fit into it. The Philippians passage that we read this morning contains perhaps one of the most frequently misquoted verses in the Bible, at least in the context of American Christianity. Whether we’re talking about winning the Super Bowl, finding a parking spot, or getting a date to the prom, millions of us find ourselves chanting “I can do everything through him who gives me strength.” We use that verse as though it is some sort of mantra that guarantees our success, and makes Jesus our lucky charm. 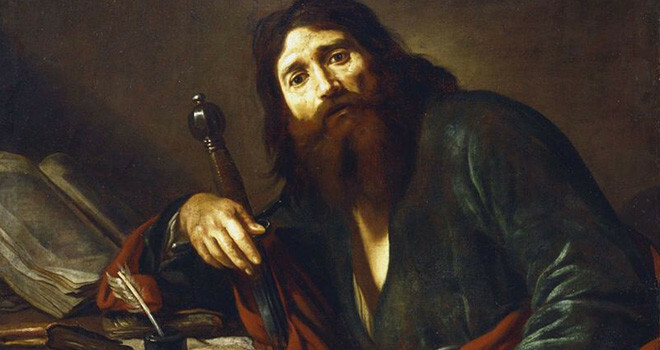 Paul’s life was as complicated and erratic as David’s in its own way. He had grown up as a member of the educated elite, and he’d made a career as a renowned teacher and scholar. In his younger days, Paul was the one you hoped might be called in as a guest lecturer; he had all the right contacts and influence. Yet at the time of this writing, he’s been beaten and imprisoned. He’s stayed at the Hilton and in Medium Security… traveled first class and been shipwrecked… and here he shares the fact that the only meaning and purpose he’s ever found in his life comes through his ability to be content in the knowledge that he is never alone because of the work of God in Jesus Christ. Being a person of faith doesn’t mean that you can get the job you want, or run a marathon without training, or pass your test without studying. That’s not the “all things” Paul is talking about in this passage. What he is saying is that through the grace of God, you and I can find the ability to be content, to know peace, to find an inward centeredness that is not dependent on our outward circumstances. We can do that through Christ who gives us strength. My hope and prayer for you this morning is that today and each day you might join your brother David on the threshing floor of your life. That today, you might sit in the presence of God, resting on a firm and solid foundation, knowing that within your life right now are the elements necessary for significant fruit. Ask God to help you blow away the chaff and the things that distract you, and seek to find your center in Jesus Christ. Whether you are on the cusp of a significant opportunity or on the brink of an incredible challenge, look for the contentment and peace that can only come through Jesus Christ. If we can start the days like that, we will find, I trust, that we can get through anything in the power of the Lord. Thanks be to God. Amen. In 2016-2017, the people of The First U.P. Church of Crafton Heights have been listening to the stories of David and trying to make sense out of them for our own journeys. On May 28, we heard some of the most difficult parts of that story – and looked at some of the ways that this pastor’s mind has changed. The text was from II Samuel 14 (included below) as well as Luke 13:1-9. Due to technical difficulties, there is no audio stream this week. When I was a child, money was tight in our family. Something else that was tight was the waistline of my pants, and so my mother decided that one way to solve both of those problems was to stop buying real milk, and have me drink several glasses of powdered skim milk each day. I did it, and I lived to tell about it. I did something else for well over half my life that will make some of the younger folks’ heads spin. When the phone that was wired into the wall rang, I just answered it – I didn’t know who was calling or anything. I just picked it up and said, “Hello,” just like that. Crazy, right? There are lots of things that I used to do that I don’t do anymore; my mind, my habits, my thoughts, and my activities have changed. I think that’s part of what it means to be human: we grow and we learn. This morning’s scripture lesson provides an opportunity to reflect on some things that I used to think, and where I am now. You could understand that as a threat, or a punishment; you could also interpret that as a perceptive realization that whatever David’s gifts might have been, being a “Great Family Man” was not among them. Over the past few months, you’ve heard me or someone else up here mention some of David’s wives. Most of them probably didn’t stick with you… and I’ll offer $10 to anyone who can name more than three. I think that’s a safe bet. But if you’d like to keep track at home, there are eight women named in the Bible as David’s wives: Michal, Ahinoam, Abigail, Maacah, Haggith, Abital, Eglah, and Bathsheba. There were probably more, but those are the names we have. Those women helped David to produce children. There are nineteen sons of David named in the Bible, and there were probably more of them as well. 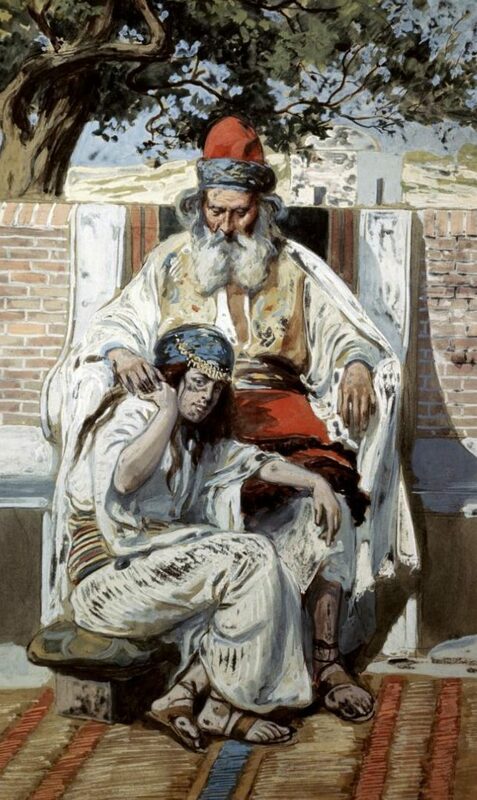 Only one of David’s daughters is named in the scripture, and her story is so horrible you can bet that the others are just as happy that their names were not important enough to record for history. The story of Tamar, in fact, is so difficult and ugly that I could not bring myself to preach on it or even read it in public worship for this series of messages. You can read it for yourself in II Samuel 13 and 14. Here’s the gist of it, presented in the PG-13 version. Tamar fled and confided in her full brother, David’s third-born son, Absalom. 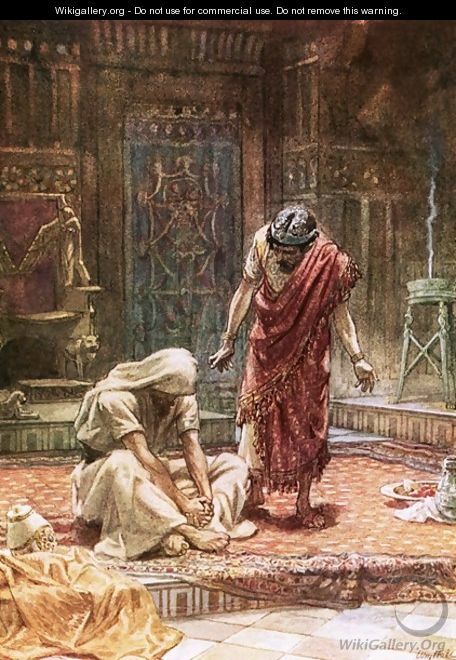 Absalom was appropriately enraged and waited for David to act – and the longer his father went without punishing Amnon, the more resentful and bitter Absalom became. Finally, more than two years later, Absalom has had enough. He throws a big party and invites all of his relatives to come, including Amnon – to whom he hasn’t spoken since the assault. When everybody is having a high old time, Absalom murders his half-brother to avenge what he had done to Tamar. Next, Absalom does what you might do if you murdered the crown prince – he high-tails it out of town. He hides out in the kingdom of Geshur, where he stays with his maternal grandfather. 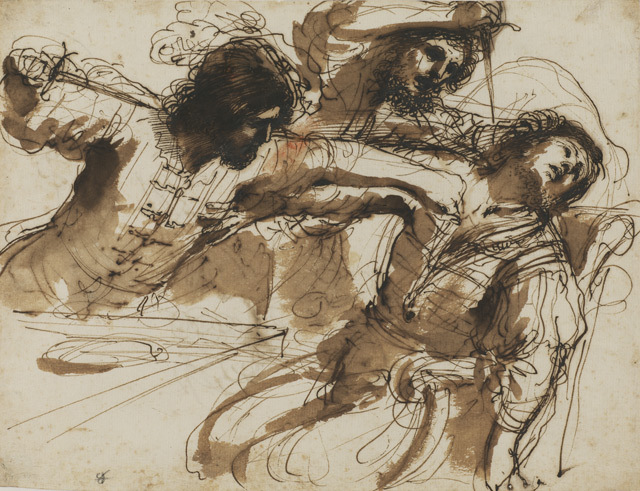 David is overcome with grief at the death of Amnon, and also finds himself yearning for Absalom – but he still cannot do anything to take charge of his children. 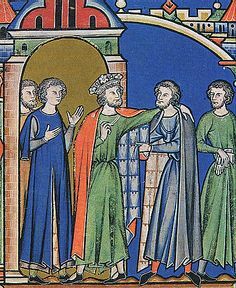 Eventually, after three years have passed, David’s general and nephew, Joab, convinces the monarch to do something to make things right with Absalom. So David sends for the young man and tells him it’s time to come home. However, when Absalom returns to Jerusalem, David cannot bring himself to face his son, and so he won’t receive him in the palace. Joab, loyal to a fault, refuses to see Absalom as well. Absalom lived two years in Jerusalem without seeing the king’s face. Then Absalom sent for Joab in order to send him to the king, but Joab refused to come to him. So he sent a second time, but he refused to come. Then he said to his servants, “Look, Joab’s field is next to mine, and he has barley there. Go and set it on fire.” So Absalom’s servants set the field on fire. So Joab went to the king and told him this. 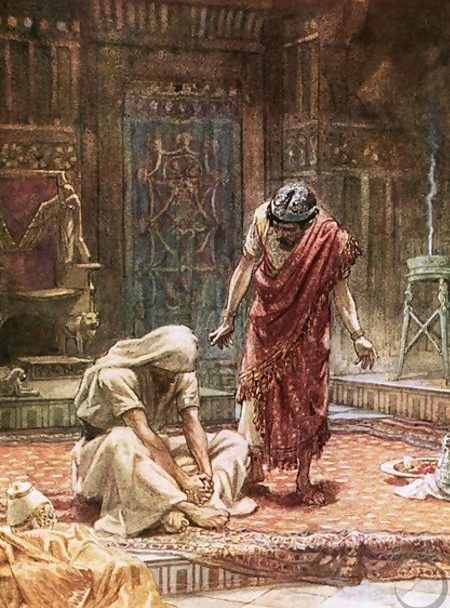 Then the king summoned Absalom, and he came in and bowed down with his face to the ground before the king. And the king kissed Absalom. It’s a brilliant move, adding arson to his list of accomplishments as he seeks to get the attention first of Joab and ultimately, his father. That’s what I thought. And, lots of times, that kind of reasoning works. But the more that I thought about that, the more I realized that a theology like that makes God out to be, well, kind of a jerk. 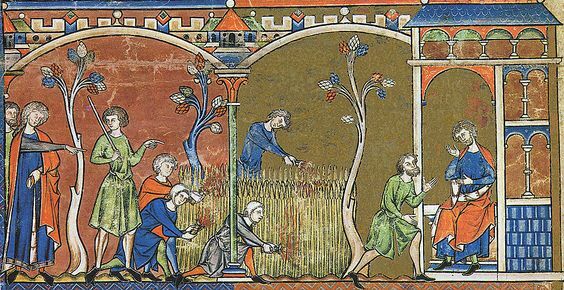 Listen: if the fact that my barley field is on fire – that is to say, if I’m going through a tough time in some way – means that God is trying to deal with me somehow, then the opposite must be true as well. No fires? Everything is cool. If I say that every bad thing that happens to me is an indication of the fact that God is trying to teach me a lesson, then that essentially puts me in a fatalistic universe where everyone gets what they deserve. What did Tamar do to deserve what happened to her? Or would you like to suggest that maybe God sent her that particular trial in order to teach her something? It’s a tempting theology, friends. Look at your news feeds: Terrorism in Manchester. A new influx of child refugees from South Sudan into Uganda. The President and the Pope hobnobbing with each other. A man in New York finds a $24 million lottery ticket while cleaning out his home – just a couple of days before it expires. Do those people deserve that stuff? Do bad things happen to bad people? Do good things happen to good people? We are not motivated by the fear of destruction: we are enlivened and empowered by the presence of grace. Grace is the foundation on which the whole enterprise is built. 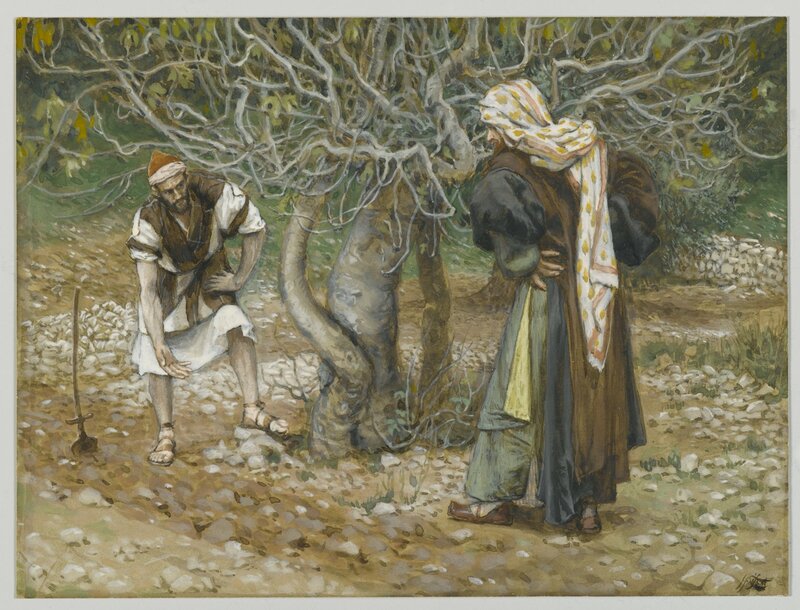 And then Jesus goes on to tell a parable about a fig tree located smack in the middle of a vineyard that was there simply because the owner of the whole place decided to allow it to remain there. And when he’s thinking about clearing out the space, his gardener talks him out of it, saying “Master, leave it for another year.” The Greek word he uses is aphes, which literally means, “forgive”. The fig tree wasn’t pulling its own weight, but the gardener stood up for it anyway. “Forgive”, he says. The world lives, as the fig tree lives, under the rubric of forgiveness. The world, of course, thinks otherwise. In its blind wisdom, it thinks it lives by merit and reward. It likes to imagine that salvation is essentially a pat on the back from a God who either thinks we are good eggs or, if he knows how rotten we actually are, considers our repentance sufficient to make up for our unsuitability. But by the foolishness of God, that is not the way it works…[Jesus] doesn’t come to see if we are good; he comes to disturb the caked conventions by which we pretend to be good. He does not come to see if we are sorry; he knows our repentance isn’t worth the hot air we put into it… We are saved gratis, by grace. We do nothing and we deserve nothing; it is all, absolutely and without qualification, one huge, hilarious gift. The Gospel story is not that God is sending me terrible calamities in order to attract my attention to something that God needs me to do…Instead, the Gospel story is that God is present to and with and for me in all of my circumstances. 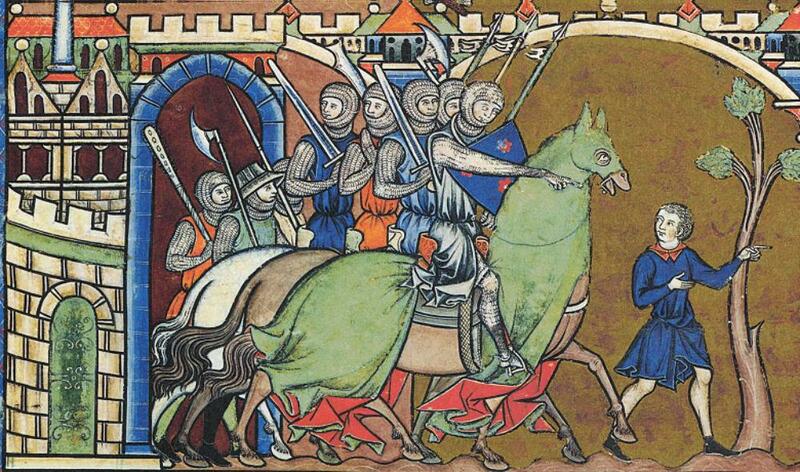 At a better point in his life, King David was hard up against some ugly, painful circumstances. In Psalm 27 he wrote, “I would have despaired unless I had believed that I would see the goodness of the Lord n the land of the living. Wait for the Lord; be strong and let your heart take courage.” (Ps. 27:13-14, NASB). If, even in these horrible circumstances, I didn’t think that I could see God’s goodness…well, I’d cash in my chips. But I believe that even here, even now, I can see not the threatening, vengeful God – but the gracious, forgiving vinedresser in Luke. So if 2 Samuel 14 is not about God sending us horrible days in order to get our attention so we’ll straighten up and fly right… What is it about? I’d suggest that we have to look at it in context. David has had an adulterous, murderous affair, while neglecting his parental office. The absence of discipline leads to horrific acts wherein Absalom plays the cards he’s been dealt in the only way he knows how: violently and destructively. In fact, Absalom will go on to unleash a plot to overthrow his father’s kingdom and murder his father – but more about that next month. It seems to me that the message of 2 Samuel 14 is that if we insist on keeping score and on playing the game we’ve always played it, we’re bound to lose. If we insist that it always and only depends on us, then it will end poorly for us. How would it have been had David or Absalom or Amnon asked God to interrupt and break the cycle? We don’t know for them. But we can try it for us. Look: sometimes fields catch fire. Horrible things happen. When they do, look for grace. And when you find it…give it away. Your neighbor probably needs it. Thanks be to God. Amen. The Parables of Grace (Eerdman’s, 1988, p. 97-98). In 2016-2017, the people of The First U.P. Church of Crafton Heights have been listening to the stories of David (shepherd boy, slayer of Goliath, friend of Jonathan, King of Israel, “Taker” of Bathsheba…). On May 21, we heard the prophetic follow-up to the episode involving Bathsheba, and considered the importance of truth-telling and community in our own lives. The text was from I Samuel 12. 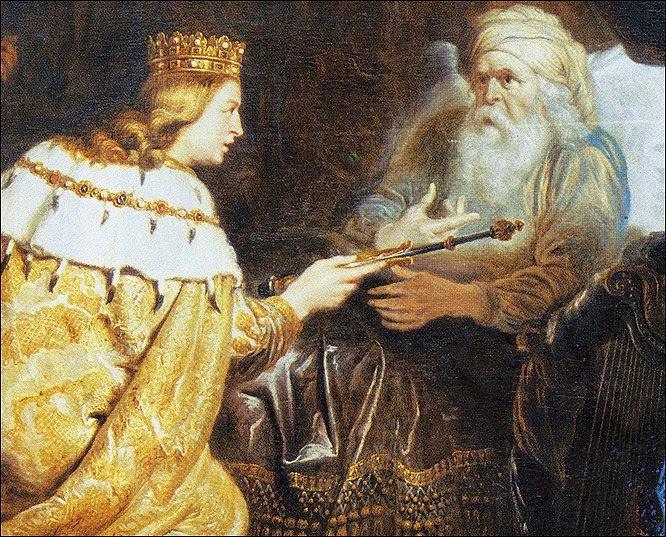 As we continue in our exploration of the life of King David, let’s take a quick look back at the story we encountered last week. 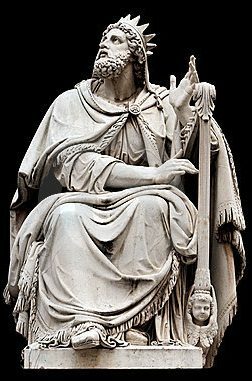 Those who were here will remember that David – who had been called the nagid of YHWH – the “prince of God” – abandoned that role by making quick work of at least four of the Ten Commandments. As he lay around the palace one evening, it seemed, for some reason, like a good idea for him to “send” for and “take” a vulnerable young woman. In the process, he breezed right through coveting and lying en route to an adultery that wound up in murder. It seems like a far cry from the earnest, prayer-filled, justice-seeking shepherd who was willing to go up against Goliath thirty years ago. As we begin II Samuel 12, the scene shifts. Whereas in chapter 11, it was David who did all the “sending” (at least four times, by my count), this part of the story begins with YHWH sending the prophet Nathan to visit the king. They’re not in the temple, but David is going to church, I can tell you that. The preacher starts in with a story, and the audience of one is compelled to listen. I mean, Nathan’s story just draws David in. The monarch eats it up. Why? Because it’s about someone else. Who doesn’t like coming to church and hearing the pastor really lay it down all over those other people? You know what I mean: we love getting ourselves worked up in a lather over what President Trump said on that bus or how President Clinton behaved with “that woman”; we can’t wait to show our contempt for the ways that George Soros or the Koch brothers spend their billions… but who in this room wants all of your dirty laundry made public? Who’s ready to share your browsing history, your tax returns or checkbook, or publicly reveal the conversations you thought to be private? David, along with most of us, prefers that old time religion – where we get all fired up with righteous indignation about what the other guy is doing. And, apparently, Nathan obliges. He dishes up a story about two men. The first man is simply a stock character – a boorish, boring tycoon who has everything and more. 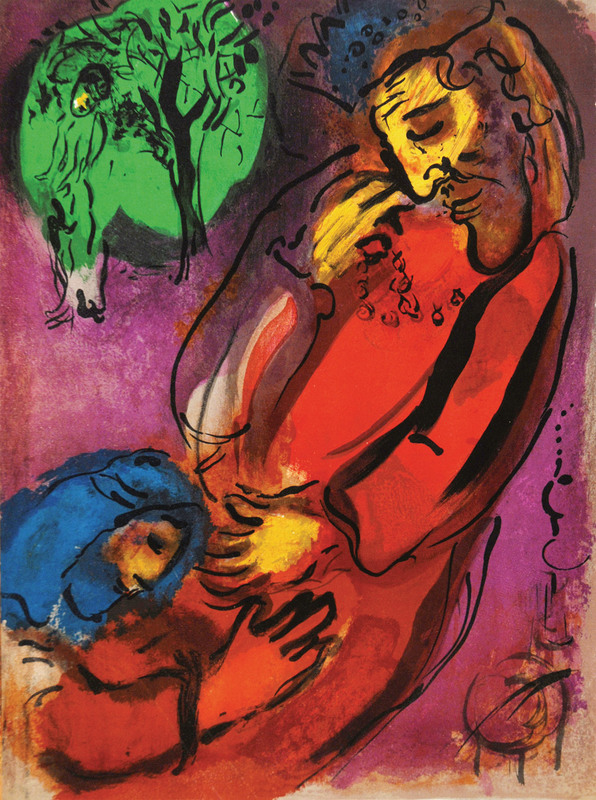 The second man in the prophet’s story is the picture of tender-heartedness. He loves his pet lamb so much that he lets it use his own plate and allows it to curl up on the sofa with him as they watch the hockey game together. Well, as you heard, the rich man wants to organize a little barbeque for a visitor so he sends for and takes the lamb that belongs to his poorer neighbor. You may have guessed this, but the word for “took” that is used in verse 4 to describe the action of the wealthy neighbor is the same one used in chapter 11 to tell us what David did to Bathsheba. Nathan continues to speak for YHWH, and now it is his turn to raise his voice: “You want to know who that man is? I’ll tell you – You are the man!” Two simple words in Hebrew – ’attah ha’is– bring David the most potent accusation he’s ever faced. Before we consider David’s actions or reactions, think for just a moment about what Nathan has done here. He walks into a private meeting with a leader who has unbridled power and only recently has had several men put to death for inconveniencing him; he’s played fast and loose with his authority and power in so many ways. Nathan could have been, and should have been scared to death… but he tells David the truth about himself anyway… Because of his great love for David, his great love for YHWH, and his great love for the community, Nathan tells the truth. And you heard how he lays out YHWH’s case against David. I anointed you, says YHWH, and you acted like you were in charge. I gave… and you took. And now you have set into motion a series of events that are all connected – they are all consequential – and the dominoes will fall one after another. It will be neither pretty nor easy. 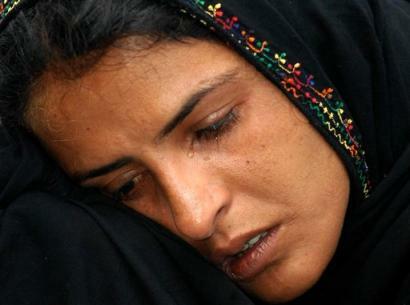 You will face shame and pain and your family will not be spared either. This is a hard, hard truth that the prophet is sent to reveal. And just as Nathan brought the accusation with two words, now the king slumps in his chair and utters two words that tell us a great deal about who he is and who he wants to be. “Hata’ti lyhwh.” “I have sinned against the Lord.” It may sound cringeworthy, but believe it or not, this is the Gospel story showing up in David’s narrative today. Often, we think of confession as a devastating and humiliating act of groveling and self-loathing. “I know, I know… I’m a terrible person who does horrible things… I’m so ashamed… I’m nothing but dirt… I’ll do better next time…” But I think that David’s confession – and that yours and mine, too – can be so much more than that. In the fifth century, a man named Augustine was teaching about Christianity in North Africa. As he considered the impact of sin and brokenness in the world, it struck him that if not for his sin, he would have no reason to have turned towards his savior. The more he thought about that, the more excited he got until he scribbled down on his scroll the phrase Felix culpa – “O happy sin!” Augustine says that when I see and recognize my own sinfulness, I am in a position to turn to God and seek the healing that I have always needed, now that I am more deeply aware than ever of my desperate situation. For example, let’s say that you fall and break your leg. That’s horrible. Until you get into the hospital and they give you the whole work-up and discover that not only do you have a broken leg, but you have an aneurism that’s about to burst and there’s a shadow on the x-rays in your chest. Nobody wants a broken leg, but if you don’t break your leg, you don’t seek treatment and somebody finds you laying dead on the sidewalk in a week. Sometimes, breaking your leg can be a good thing. Felix culpa. This is an important truth for us to consider today as we baptize young Marshall into the faith. Today we acknowledge as publicly as we know how that he has been born into a world of sin, hurt, fear, and pain. Some of this he’ll inherit as a result of choices that his parents, family, and friends have made or will make. Some of Marshall’s experience of these things will come from participation in a world that is too often characterized by sins such as racism or violence. And, you can be sure, Marshall will be pretty good at finding sin, hurt, fear, and pain on his own – we all do. Fully aware of this, the church of Jesus Christ welcomes Marshall today and speaks of forgiveness and reconciliation – even to his infant self – because he needs to grow into an identity that is rooted in the awareness that those things are possible. We hear this story in the 21st century because we need to remember that the life of discipleship is not built around doing our level best to make sure that we never sin: that would be impossible. Instead, we are here to remember that the life of faith nurtures us to recognize sin and teaches us how to respond when we see it. 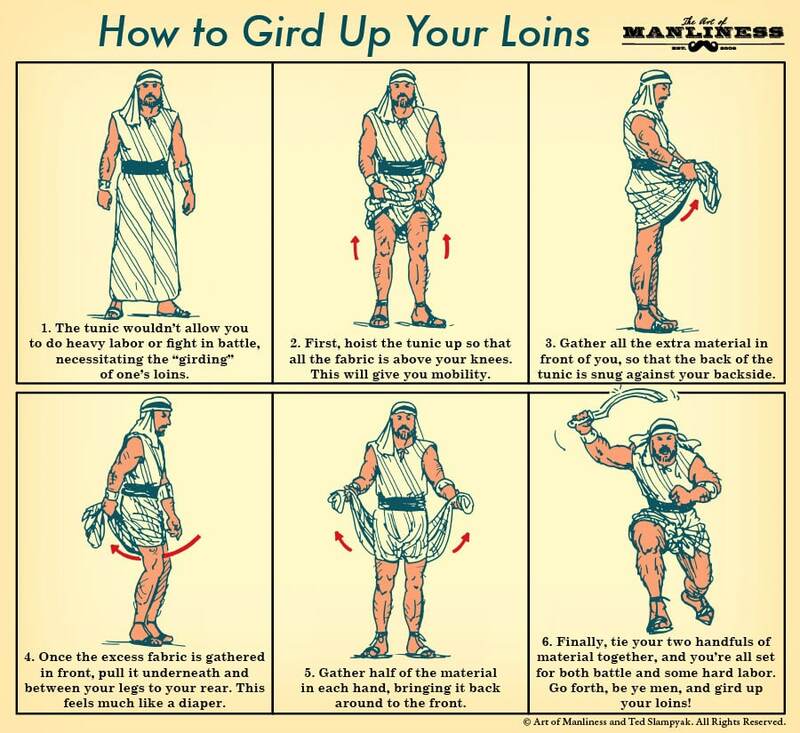 But, thanks be to God, or maybe I should say felix culpa, I have the gift of confession. I see sin and I name it, which leads me to a place where I can remember (again) that I am not God and that I have not been called to moral or ethical perfection. I am, instead, called to obedience and faithfulness. In the isolation and fear and shame that moralism brings, I want sin to be about you, or about anyone other than me. His greed. Her promiscuity. Their violence. There is something in me that wants you to be worse than me so I’m not all that bad by comparison. This is the gospel focus: you are the man; you are the woman. The gospel is never about somebody else; it’s always about you, about me. The gospel is never a truth in general; it’s always a truth in specific. The gospel is never a commentary on ideas or culture or conditions; it’s always about actual persons, actual pain, actual trouble, actual sin: you, me; who you are and what you’ve done; who I am and what I’ve done. The gospel – and truth – is painful, but it leads me to grace, reconciliation, and healing that would be impossible without the recognition that God is God and I am not. As we hear this difficult scripture this morning, I would ask you to remember at least three things. Remember that your primary identity is not that of shame or fear. We see sin, and we are called to remember that our deeper identity is hidden with God in Christ. We are fearfully and wonderfully made. We are shaped in the image of God. 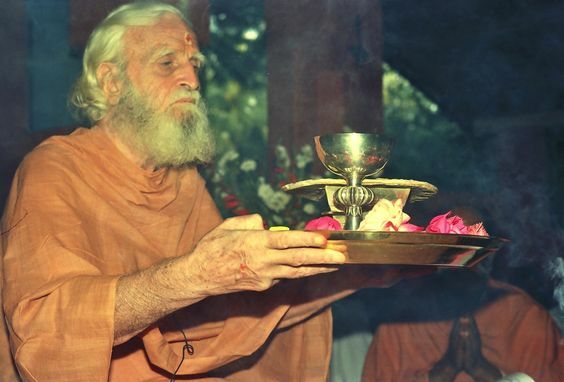 We are participants in the Divine nature. That’s who we are. What we do? Well, sometimes what we do doesn’t match up with who we are. When we notice that, we are called to lay those things down and begin anew in reclaiming our birthright as children of God. And because none of us has perfect perspective, we all need to remember the importance of having a Nathan in our lives. Who will tell you the truth about yourself, even when you don’t want to hear it? Some years ago I got a call from a friend who lives about four hours away. “I really need to see you, and soon,” she said. “What’s going on?” I replied. “I can’t really talk about it on the phone, but it’s important. Can you get here?” Well I love my friend, and I’d do anything to help her. She needed me? I was in the car within a week. I rushed into the coffee shop where she was waiting for me. “What’s the problem?” I asked, in my best and most concerned Pastor Dave voice. And she laid it on me. I mean, she went Nathan all over me. She told me some unpleasant truths about myself – and she told them to me in a way that made me glad to have heard them, if you can believe it. And because she loved me enough to tell me the truth, I was able to recognize my sin and step into what was more clearly the light of grace. And the last thing I’d like you to remember is that you need to be willing to bear truth into the lives of those who are around you. Now, there are some important warnings with this. First, don’t presume to think that you can speak truth into someone else’s life if you are unwilling to admit anyone into your own. That’s a recipe for failure. And just as critically, remember that truth shared in this context is always a gift. Truth pointing to reconciliation and forgiveness is always a benedictio – a “good word”. I do not dare speak a word of correction or advice or truth to you, nor you to me, unless we recognize that it is a blessing: a holy and beautiful, if heavy, gift. You are always true with someone you love, or for them. You are never true at them or on them. David’s sin brought him to the place where he could realize that what he needed more than anything else was the love of God in his heart and the hand of God in his life. He needed that more than he needed the power and prestige of the kingship. He needed that more than he needed to look good and strong and holy in front of the community. He needed that more than he needed the companionship of Bathsheba or his dominance over Uriah. David needed to know that God was close. That God was forgiving. That God was already in the future, reconciling all things to himself. David’s sin taught him all of those things, and more. And it launched him toward the grace of God. So the next time you wake up feeling as though you have done the unimaginable; when you are feeling lower than low because of a situation you have brought upon yourself, may you, too, learn to see God in Christ moving toward us in the places of our brokenness so that we are free to live into our best, God-created, identities. Thanks be to God. Amen. Leap Over A Wall: Earthy Spirituality for Everyday Christians (HarperCollins paperback 1998, p. 185). I am deeply indebted to Peterson for his treatment of this entire passage. Anything good and helpful in the message has probably come from Peterson’s insight.